Crypts and Things is done! First layout draft has gone to proof and final check. 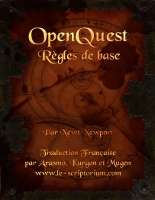 If you want a copy of the OpenQuest core rules in French, a team from the Le Scriptorum have made your wish come true! 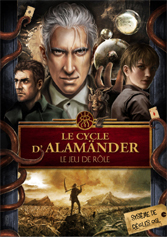 There’s also Alamander, which is a complete game with gorgeous art and layout based of OQ with bits of GORE and MRQ1 added. You’re going to the worst place in the world, and you don’t know it yet…. 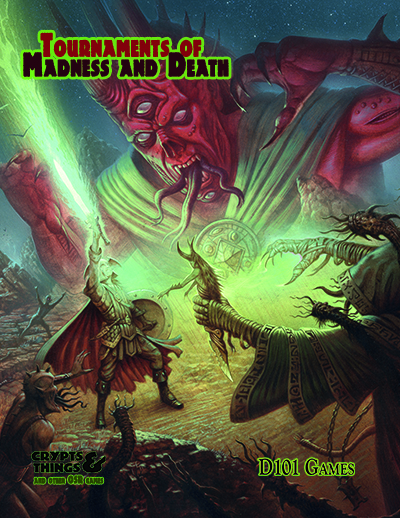 Back in Feb I wrote a charming little adventure for OpenQuest, called the ‘Road to Hell’. Spurred on by the nastiness that I was creating at the time for Crypts and Things and a huge guilt that I had nothing lined up on the OpenQuest front, I sat down and hammered RtH out. I’m running it again at Furnace Convention in a couple of weeks time. Art has already been commissioned, so some time before Xmas it will get pdf release. I’ve had a couple of folk ask me if the lovely character sheet that Andrew Farman did for OpenQuest final was available for download. I had a quiet moment last night and uploaded the character sheet. 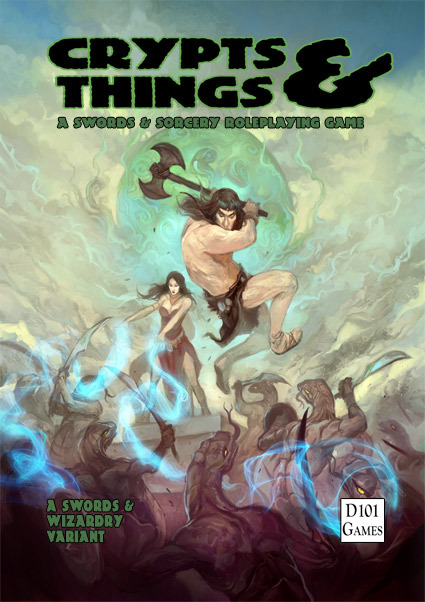 Ok so the cover I’ve been showing for Crypts & Things has merely been a placeholder. Bonus points if you can nail who the inspiration behind the axe wielding barbarian is (and no its not a certain Mr Conan 😉 ).